Our first foray into Crema-branded clothing. 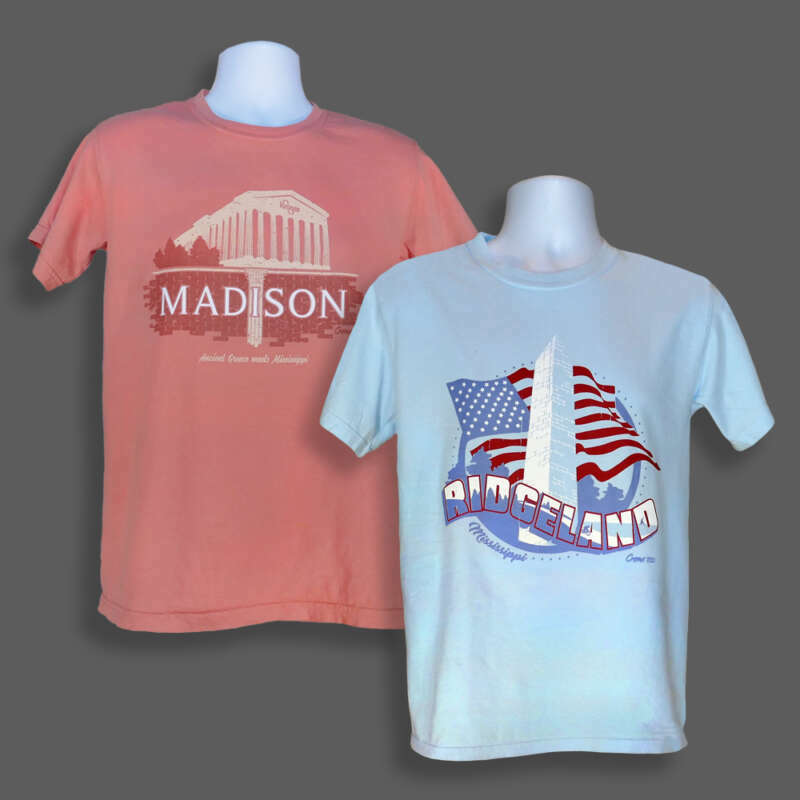 These tongue-in-cheek tourism shirts highlight some of the architectural idiosyncrasies of our hometown Ridgeland and neighboring Madison. On sale at Fusion Coffeehouse in Ridgeland.